My team is Y.D.F. hahahahahahah for obvious reasons. Yingzi, Don and I! hahaha okay here's one shot which I found kinda funny. 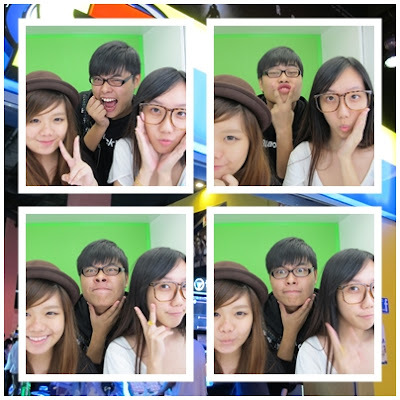 So anyway, we spent an awesome day at Cathay Cineleisure! 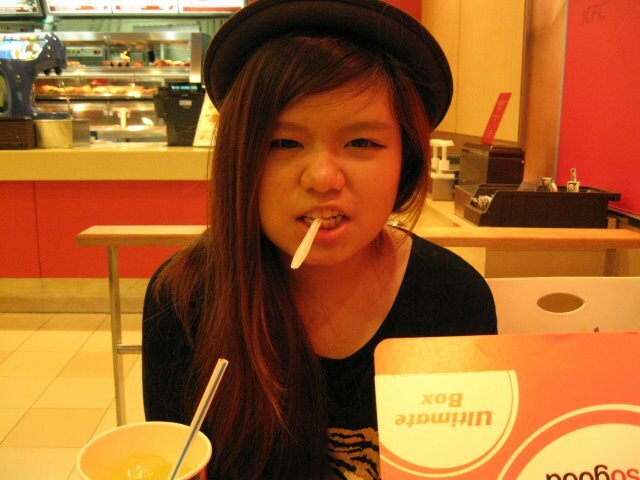 Had KFC first~ It's always bustling with people there cos its halal and affordable! The "open kitchen" is awesome cos you'll know how your sweets are made! Don making payment for his packet happily! Samples available at the counter! How nice! And we took a photo with the people behind the magic! The next shop we stopped by was Beadstreet! I'm sure it's a must-go place each time you go to Cine, cos the stuff they sell there are SOOOOO WORTH EVERY CENT!!! From accesories for your gadgets to accesories for yourself, they have everything to make you look fashionable yet not ripping a hole in your pocket! They keep bringing in more stuff, so you'll have to check out what's in right now! Check out the $2 signs all around! Most of the stuff for the gadgets e.g. phone cases, button stickers and stylus are $2!!! Happy Yingzi when she found Hello Kitty frames for her iphone 4s! And yep, they're just $2 each!! A whole lot of colours to choose from! You'll sure find one that's for you! I bought some button stickers and a stylus (to Draw Something hehehe) and Yingzi bought a frame for her phone! With just $6 here, you get to fully equip your phone! Wow, fantastic baby! Personally, I highly recommend this shop cos its soooo affordable for people like us and yet it makes you super fashionable! We were called in by the sign at the door.... hehe! 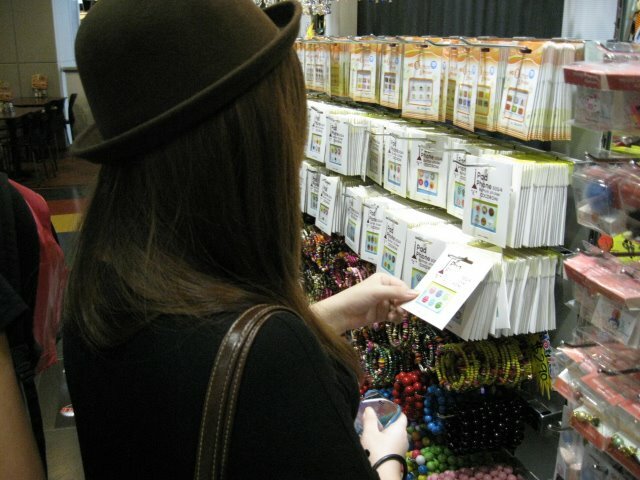 Yingzi trying on her eye candies, deciding on which to get since there's a sale! 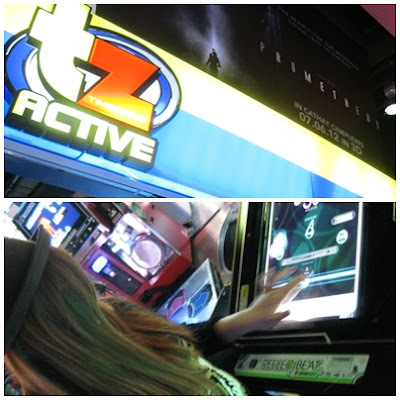 Not forgetting the top few floors, where there's..
AN ARCADE! hehehe all the awesome games! Whether you're there already knowing what you want to play or waiting for time to pass, there's something for you! There are so many things you can do in Cine!! And after that, we caught the premiere of The Hunger Games at The Cathay!!! It was soooooo awesome and everyone should catch it! Frankly, I wasn't expecting much of the show cos I've never heard of it, plus the title didn't seem appealing :P But I swear all this is changed after I watched it! Its super exciting and keeps you at your toes!! Not gonna say too much about the movie cos you've got to watch it yourself to experience how awesome it is! 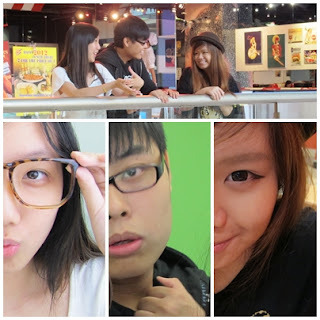 It was a super nice day spent with friend, shopping around and of course, eating :3 And also a big thank you to Nuffnang, or we wouldn't be able to catch The Hunger Games before the rest of Singapore did! Ending off with a video of my team! #itsgonnagetsensational!